News about Fanderson’s flagship publication – FAB magazine, available exclusively to club members. Who would have thought it…? 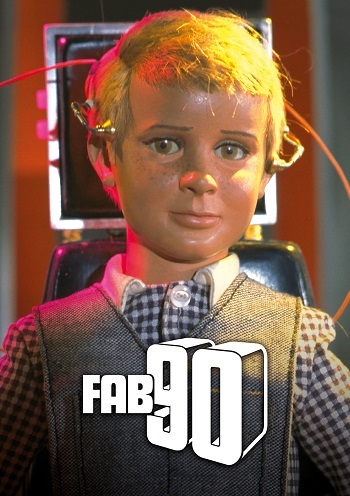 The 90th issue of FAB magazine falling in the same month as the 50th anniversary of Joe 90′s release. Of course, we had to celebrate it with an amazing cover and take some slight liberties with the club logo – just this once! In the first of a new series we look at an International Rescue craft, starting with the sleek and gloriously retro Thunderbird 3. 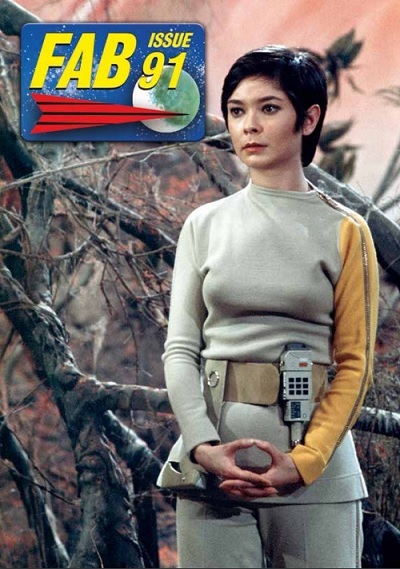 Mark Braxton presents an unpublished interview with Gerry Anderson from 2005, where he discusses bringing back Spectrum for the 21st Century. Ian Fryer explores the world which was the first to meet a 9-year-old secret agent named Joe, and John Wilkinson tells us when it originally happened. Jay Mullins takes on a taboo… Smoking! Ian Wheeler roots out a long lost, but never forgotten Dinky Toy. Jonathan Baxter picks up where TV21 left off, with an exclusive photostory re-telling of the second Thunderbirds feature film, the delightful Thunderbird 6. How do I get FAB magazine? The answer’s simple – join Fanderson! FAB magazine is available exclusively to Fanderson club members – we deliver three times a year, and we do our very best to make each issue a joy to read for every fan – regardless of your favourite series!